Brexit is giving some strength to GBP against USD however once the US job data is released, there might be some pullbacks. 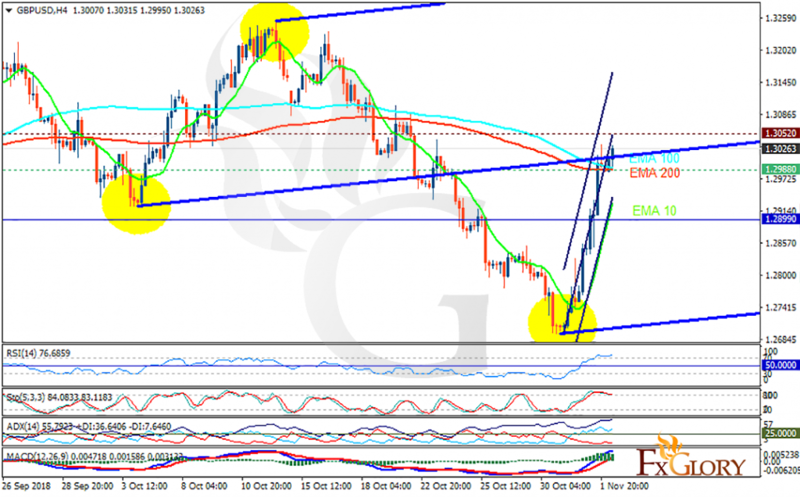 The support rests at 1.29880 with resistance at 1.30520 which both lines are above the weekly pivot point at 1.28990. The EMA of 10 is moving with bullish bias in the ascendant channel and it is below the EMA of 100 and the EMA of 200. The RSI is moving in overbought area, the Stochastic is moving in high ranges and the MACD line is above the signal line in the positive territory. The ADX is showing buy signal. While considering pullbacks on the way, GBPUSD may grow towards 1.31.